All businesses, big or small, launch marketing campaign to gain some foothold in a toughly fought competitive market. Those businesses with a successful campaign gradually increase their market share and ultimately establish a brand identity that ensures lasting presence of the business in the target market. To gain that competitive edge, business owners use several cool graphic design projects such as logos, brochures, business cards, stationery etc as major marketing tools. They design and redesign these vital tools frequently to meet new marketing challenges. This, of course, requires larger funds and so majority of the businesses look for different ways to reduce the costs of creating the graphic design products. Here at Designhill, we know how important pocket-friendly graphic design solutions are to the small and medium businesses. We are already the most affordable online design platform where clients have easy access to highly talented graphic designers at the lowest possible costs. 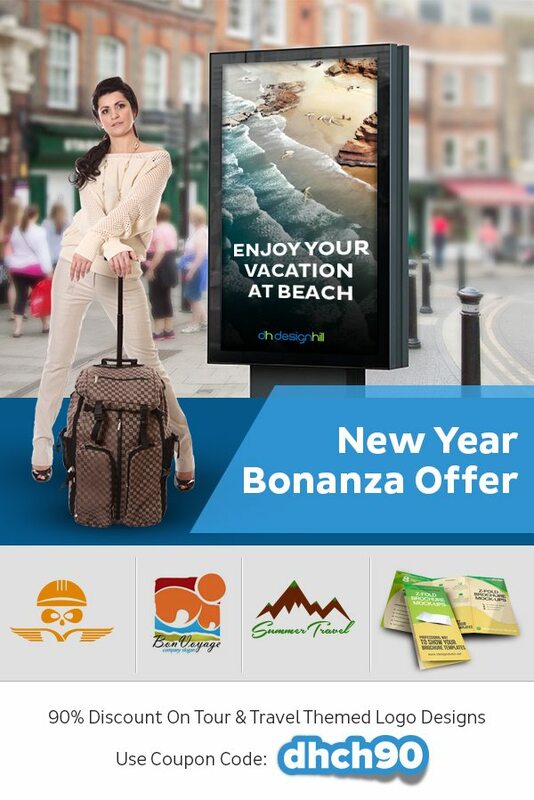 Now, we have decided to introduce attractive bonanza offer in order to bring smile on the faces of our clients. Our exclusive offers of hefty discounts on designs will help small business and enterprises in realizing their graphic design plans and strategies in the year 2015. Create Logos, Posters At Dirt Cheap Prices For the business owners or individual clients, we have launched an exclusive Bonanza Offer to help them incur lowest prices and costs possible for design projects. With this offer, we plan to provide our clients with exceptional savings on the money they generally spend to create graphic design projects such as logo design, right from the very start of the year 2015. 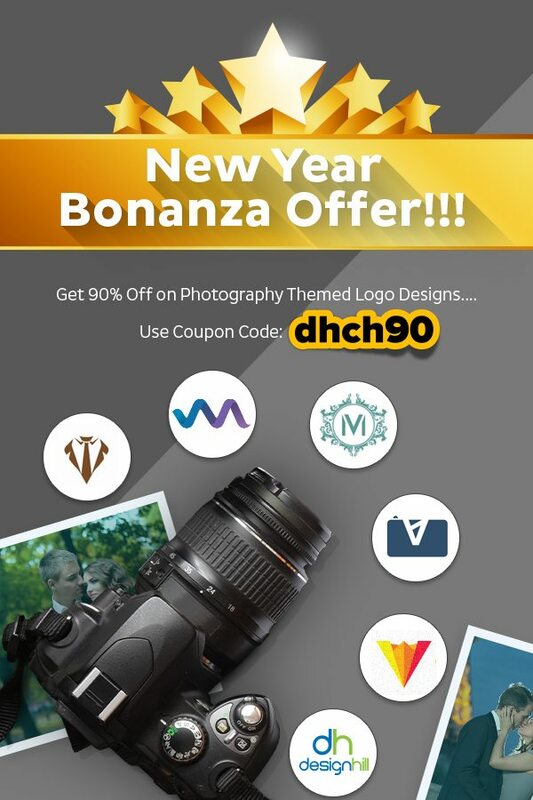 They can grab the offer anytime by availing special discount coupon codes to get the graphic design projects completed at dirt cheap prices in the early days of the current year.Our Bonanza Offer is your opportunity to get exceptional discounts on overall costs of your design projects! 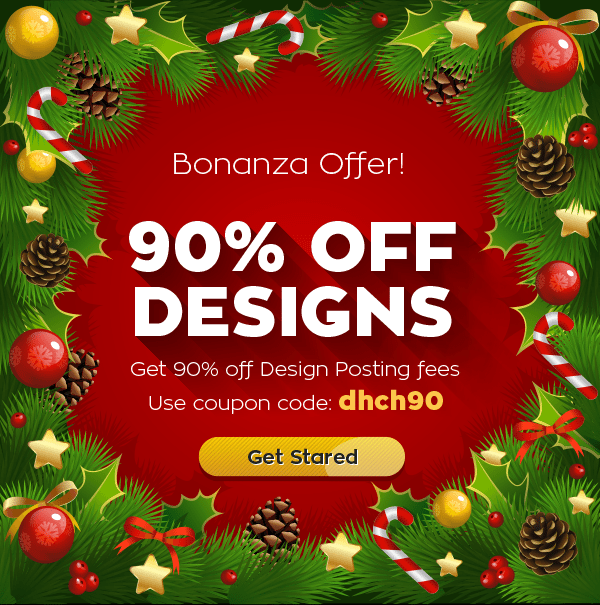 The Bonanza offers you 90% off on your total design costs. This huge reduction in prices is applicable on your event management company’s design projects, photography business designs, tour and travel themed designs, poster design and overall design posting fees. This means that you can have your logo design created by professional logo designers by just paying 10% of the total costs. Indeed, this is a whale of a discount. So avail the discounts today and spend the savings elsewhere to promote your business this year. Coupon Codes & Deals The Bonanza Offer is accessible from our special Designhill Coupon Codes & Deals. 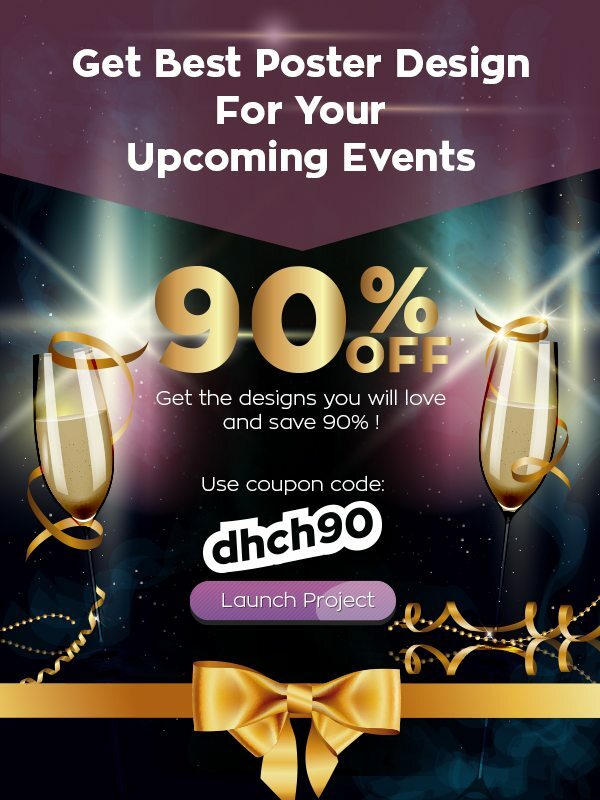 Our team at Designhill has checked and verified all the coupons to make sure that you can apply the coupon code to avail 90% discount on Designhill website. In a bid to ensure pleasant experiences for you, we make sure that you get only the valid, newest promo/coupon codes in quick time. To ensure timely delivery of our genuine coupon codes, our team of erudite engineers test and update the coupon codes on daily basis.To avail the exclusive Bonanza offer, just click on the code to copy designhill.com discount code. Then paste it in the coupon box during checkout and click to apply. This amount will be automatically deducted from the total price. As a result, you save big and get your dream design delivered to you in no time. Here are the offers you can cash in right away as a huge opportunity to create your graphic design projects at remarkably low costs. 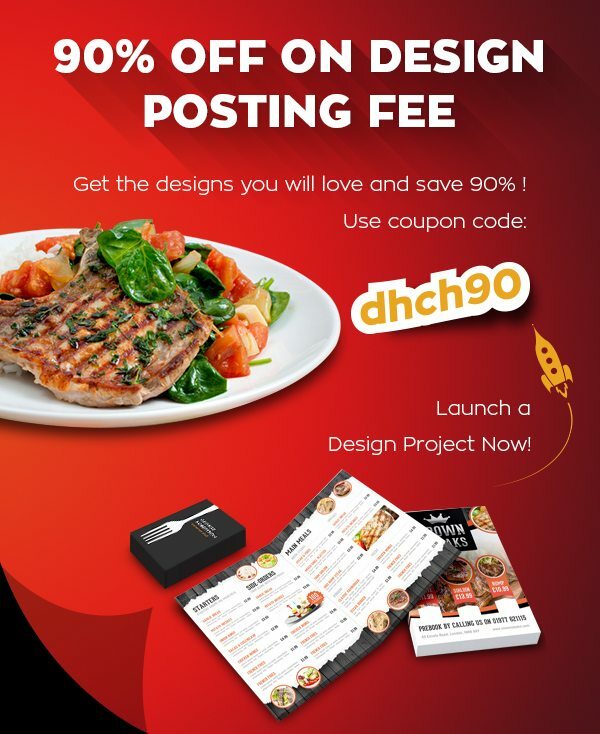 We are now offering 90% discount on your posting fee that you just pay a meager amount when launching your logo design contest or other design hunting contests on Designhill. The posting fee is included in the different packages you choose for the contest. This means that due to the low fees, now your overall cost of launching a contest on our leading crowdsourcing platform for custom made design projects will be much lower than ever before. This reduction in the fees is applicable on all the contests launched in different design categories. If you are planning to market your event at larger scale and need a great poster design to promote the event, then do well to grab this rare opportunity by all means. This amazing offer will help you save a hefty sum of money that you can strategically spend on your marketing strategy for your event. Simply use the special discount coupons and avail 90% discount on the overall cost of your poster design. In addition to the poster design, you may avail the 90% discount on all graphic design solutions including but limited to logo design, banner design, merchandise design etc. So wait no further, this is really your chance to get a professionally designed custom-made poster at a throwaway price. An impressive logo design for your photography business will surely help you in marketing your skills and profession better. But the cost of taking your business to the people at large is also very high. Much of the cost is due to spending on graphic designs such as logos, brochures etc. And to help you reduce this cost, we are now offering you a huge discount of 90% on your total costs with us in designing your photography themed design solutions including logo designs, banner design, poster design etc. This discount is going to save you a substantial amount of money for your photography business. Do not let this opportunity pass by, if you have long been planning to represent your photography business by a custom-made logo design, an interesting banner or a thought-provoking poster. An impact of a great logo design on all types of businesses including your tour and travel business is well documented. But how about getting a professional tour and travel logo design at the lowest possible rates for your small business? You can realize the dream of having access to one such logo design at unbelievable 90% discount at our site. And to make this discount offer even more pleasurable, we are offering this discount on all designs including banners, posters, merchandise etc. So, avail this golden chance and get the coupon code to save your hard-earned money right away. So, get started right at this moment to create the logo, banner or poster which was in your mind for a long time but expensive costs were coming in the way of realizing your dream. Here is your opportunity to explore our knowledge-packed site to create your logo, poster and other graphic designs with involvement of dozens of expert professional designers from across the world at an utterly unbelievable price.